Facebook insiders with detailed knowledge of the company's priorities and operations are increasingly voicing concerns that the tech giant is putting profits ahead of its users' best interests. Their accounts come as many Silicon Valley insiders are speaking out about the negative consequences of the world they helped create. Why it matters: The accounts put more pressure on the company to quickly and publicly address tough philosophical questions that they may not have the answers to yet. And it gives more ammunition for other Facebook alumni to come forward with their perspectives while they work their issues out. 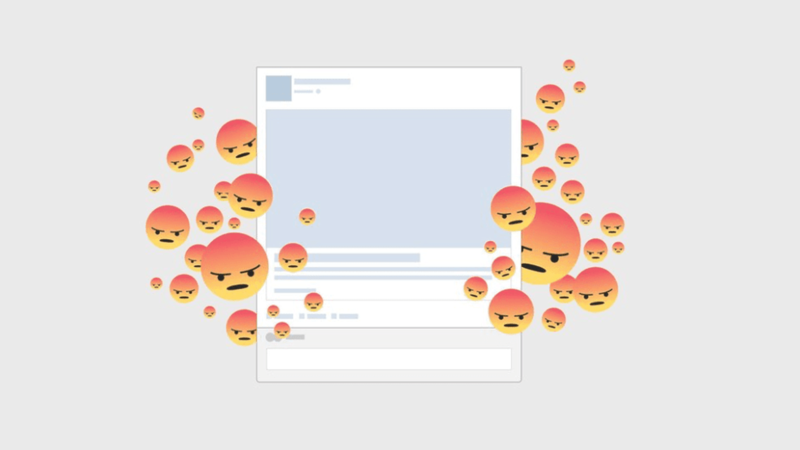 In response to these accounts, Facebook published a blog post late last night that says: "While it's fair to criticize how we enforced our developer policies more than five years ago, it's untrue to suggest we didn't or don't care about privacy." The latest: Former Facebook operations manager Sandy Parakilas wrote in a New York Times op-ed Sunday: "Lawmakers shouldn't allow Facebook to regulate itself. Because it won't ... [Facebook] prioritized data collection from its users over protecting them from abuse." Early Facebook investor Roger McNamee, now managing director at investment firm Elevation Partners, told CNBC last week: "I don't think there is any way for us to expect them to undermine their profits ... We're going to have to give them an incentive to do so." Former Facebook president Sean Parker told Axios' Mike Allen two weeks ago that the platform was designed to exploit human "vulnerability," and that "[The inventors] understood this, consciously, and we did it anyway." Justin Rosenstein, co-creator of the Facebook "like" button, told The Guardian in October that there could be a case for regulating "psychologically manipulative" advertising. "If we only care about profit maximisation, we will go rapidly into dystopia," said Rosenstein, who admits to distancing himself from the platform he helped build. Facebook product manager Antonio Garcia-Martinez, who's also author of Chaos Monkeys: Obscene Fortune and Random Failure in Silicon Valley, told The Guardian earlier this year before the Russia scandal broke: "The hard reality is that Facebook will never try to limit such use of their data unless the public uproar reaches such a crescendo as to be un-mutable." Sound smart: It's one thing to be criticized from lawmakers or outside people who don't understand the company's business model, capabilities and priorities. It's another to be condemned by employees and investors with more intimate knowledge of the company. "When Facebook was getting going, I had these people who would come up to me and they would say, 'I'm not on social media.' And I would say, 'OK. You know, you will be.' And then they would say, 'No, no, no. I value my real-life interactions. I value the moment. I value presence. I value intimacy.' And I would say, ... 'We'll get you eventually. '""I don't know if I really understood the consequences of what I was saying, because [of] the unintended consequences of a network when it grows to a billion or 2 billion people and ... it literally changes your relationship with society, with each other ... It probably interferes with productivity in weird ways. God only knows what it's doing to our children's brains." "The thought process that went into building these applications, Facebook being the first of them, ... was all about: 'How do we consume as much of your time and conscious attention as possible?'" "And that means that we need to sort of give you a little dopamine hit every once in a while, because someone liked or commented on a photo or a post or whatever. And that's going to get you to contribute more content, and that's going to get you ... more likes and comments." "It's a social-validation feedback loop ... exactly the kind of thing that a hacker like myself would come up with, because you're exploiting a vulnerability in human psychology. ""The inventors, creators — it's me, it's Mark [Zuckerberg], it's Kevin Systrom on Instagram, it's all of these people — understood this consciously. And we did it anyway." P.S. Parker, on life science allowing us to "live much longer, more productive lives": "Because I'm a billionaire, I'm going to have access to better health care so ... I'm going to be like 160 and I'm going to be part of this, like, class of immortal overlords. [Laughter] Because, you know the [Warren Buffett] expression about compound interest. ... [G]ive us billionaires an extra hundred years and you'll know what ... wealth disparity looks like. "Go deeper: See the video of Parker's comments.